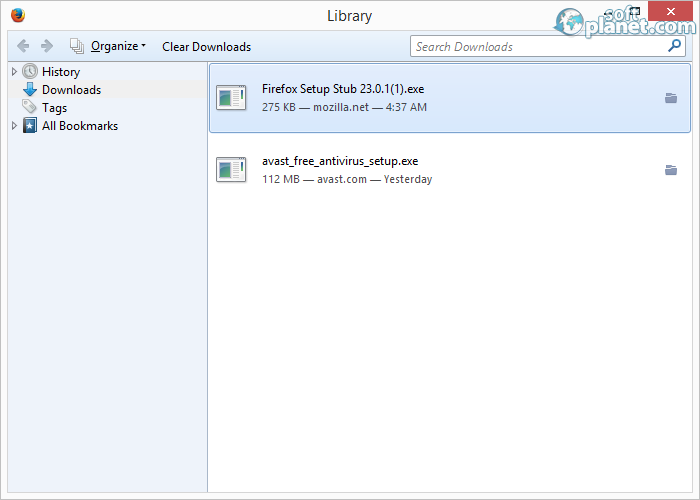 SoftPlanet makes it possible for everyone to get free Mozilla Firefox download directly from our servers. There is no registration needed for downloading. Fast – Faster – Fastest – Firefox. This is how, in short, we can illustrate the speed and performance of this great browser which becomes better and better with each passing day. In this way it becomes one of the best browsers in the world and is used by millions of users every day. Mozilla Firefox is probably the best free internet tool out there, as it continues to be developed by the increasing community of enthusiastic contributors, which help in the improvement of this non-profit tool created by the non-profit organization Mozilla Foundation. This is one of the reasons, because of which the app is free to use and download, and that's why the developer could easily say that: “We're building a better Internet!”. 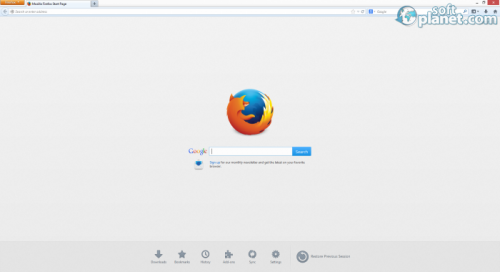 The new Mozilla Firefox 45.0.2, has some nice additions to its usefulness, like a redesign of your Home page, so that you could add different web pages in the list of nine in total, created after the click on the new Tab – another feature, which is more known to the users. 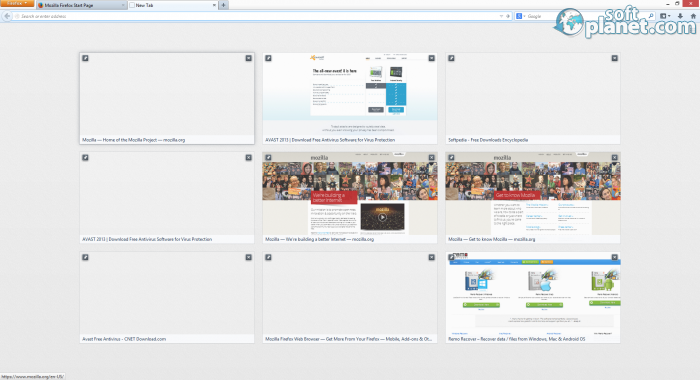 But Firefox adds a little twist with the option to remove or add, and even reorganize different favorite websites. There are, as always, shortcuts which help you navigate through the different pages and also Firefox remembers where you've been and you can go back there with a few letters in the bar, and then the browser will show you the sites linked to them. But here the best tool is the Bookmark where, like in most browsers, you can keep a list of your favorite sites. Mozilla Firefox feels smoother than previous versions, even though the performance doesn't suffer at all. The only problem is that if you install too many add-ons, only then you may see some crashes and slowness. But here is also one of the best features of the program, because you can do a lot of personalizations with these add-ons. You can redesign almost the whole browser, as most of the plug-ins are done by the already mentioned community of contributors. They've made sure that you have a large choice of themes and experience different interfaces and color patterns. The incredible number of languages that the program supports also adds to the understandable and adaptable interface. They are probably, like over 50, as the list is so long it's difficult to count all of them. Malware and spyware programs or viruses are another thing that can hinder the speed of the browser. But even though it's not its main job, Mozilla Firefox does a decent job in protecting your privacy, security and children adding a level of parental control. There are a lot of features that help protecting you, like ensuring the legitimacy of sites like PayPal, adding Private Browsing, some anti-virus capabilities, anti-phishing abilities and many other, which only add to the all-around usefulness of Mozilla. Here we can also add the pop-up blocker which helps in protecting your PC too and prevents you from entering harmful sites; it even blocks ads. Every operation just shows how fast Mozilla Firefox is, and you'll be convinced that this is a great browser. Every main operation is accessible with a click of a button on Downloads, Bookmarks, Home and Search, as you can choose among a lot of search engines. They are also approachable from the top left button, where History, Add-ons, Sync and Settings are also placed. 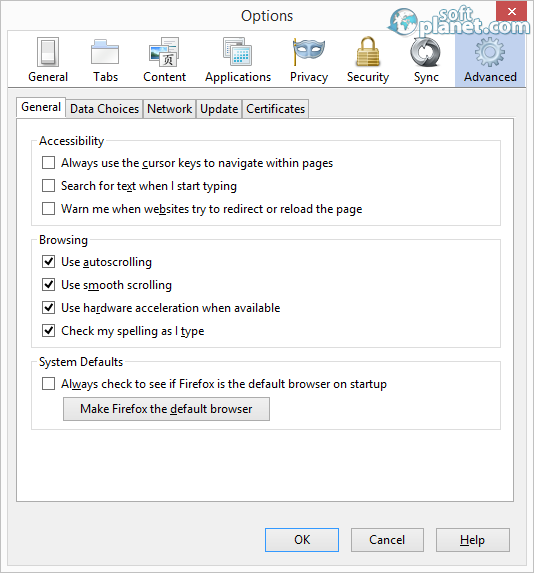 You can also control their functions from the Options Menu, where you can use Tabs instead of new windows or warn you when closing multiple tabs, so that you can be sure that you'll not close all your pages, but to this the save tabs option, which restores Mozilla Firefox to the point it was before the program crashed, also adds. Adding exceptions in the blocking of pop-ups is added too, as is also the option to be warned when a site tries to install add-ons. You can use passwords for different sites which is a nice part of the parental protection, and also add a master password. 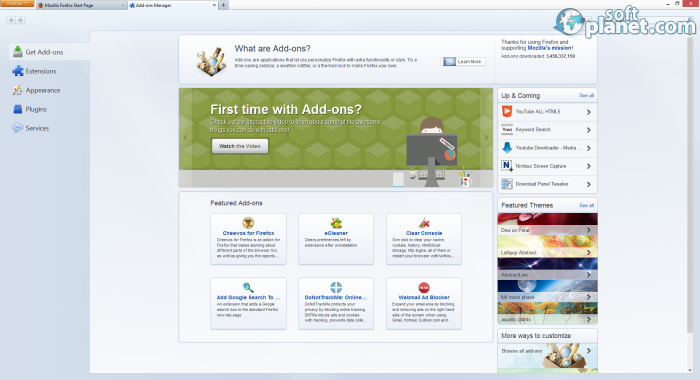 The advanced options add even more tools to the control, personalization and customization of Mozilla Firefox. Mozilla Firefox is still one of the best web browsers and probably this will not change for a long time. This is helped by the continues development of the application, but also the free nature and the open source of the program additionally open the gate for everyone that wants to create new features. The add-ons additionally increase the diversity that you can have with this awesome web browser. Our security scan shows that Mozilla Firefox is clean from viruses. The current version of Mozilla Firefox has been scanned by our system, which contains 46 different anti-virus algorithms. 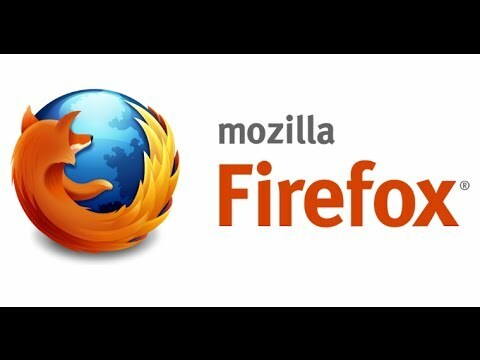 That ensures that Mozilla Firefox 45.0.2 is 100% safe for your computer.